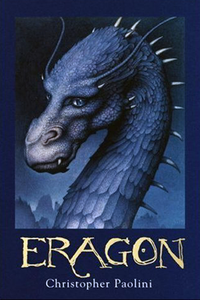 I picked up Eragon at my mum’s cottage. Likely a niece or nephew had left it behind after a visit. My expectations were not extremely high. Very quickly, I was hooked. Eragon and his friends led me on a fantastic adventure into an imaginary world. The qualities that stand out in the lead character Eragon are his resourcefulness, his willingness to take a risk and his openness to new opportunities. When he finds the egg, he understands at some level that the egg has chosen him. It becomes important for him to protect the egg against all threats. When the egg hatches and a dragon is born, Eragon provides the environment for the dragon to safely grow and flourish. Without fully knowing who Brom is, Eragon puts his trust in the man and chooses to learn from him. When Murtaugh joins his quest, Eragon recognizes his skill and loyalty, and chooses to accept his company. When it is time to accept his role as a Dragon Rider, Eragon accepts the role that fate provides. Throughout the novel, Eragon is offered new opportunities and he makes the most of them. He makes use of the wisdom of his companions whenever faced with a new situation or opportunity. He refuses to back down from the challenges that cross his path. He uses the resources at his disposal, he makes decisions and choices, he learns from his mistakes and he stays true to what he knows is right. Camp Nominingue is a bit like Alagaesia, although there are no Urgals to attack us. Nominingue is a land of opportunity if only we are willing to take advantage of what is offered. Whether it is learning a new skill in archery or dedicating oneself to improving an inside turn in a canoe or climbing to the top of the wall using the most difficult route, new challenges are always available. Campers and staff alike can always choose to back down and take the easy route or return to the same, safe instruction where they had success the previous summer. There are many choices to make at camp and these might be some of them. Eragon seeks advice from Brom, Murtaugh, Saphira, Orik and others. The decision, however, is always his to make. At Nominingue, there are many counsellors with wide-ranging skills and experiences, prepared to offer their support and their wisdom, but the choice often remains in the hands of the camper. This is an opportunity. To many campers, a canoe trip into the wilderness is scary or at the least a trip into uncharted waters. 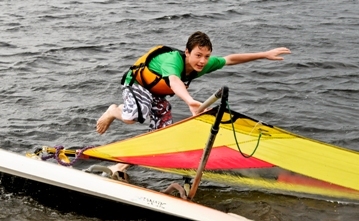 Experienced campers and counsellors are always prepared to offer some advice or some opinion. Having spent twenty-six summers at Camp Nominingue and having set out on countless canoe trips, I feel that the canoe trip is an opportunity not to be missed. I feel strongly, however, that it is important that campers make this choice to sign-up individually or with a group of friends to go on a trip. 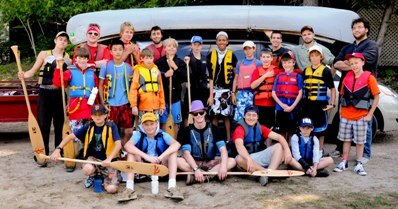 All of the opportunities that Nominingue offers to campers help to ensure that Camp Nominingue is a place where boys can grow…in confidence, in independence and in resourcefulness. This is what Nominingue is all about!